Observational Writing : looking at a handful of paranormal groups who are considered “Credible” by social media , looking at their agenda in the paranormal world, and what methods are used to obtain evidence of phenomenon. This paper has been written to give information about paranormal teams out there who are considered 'Credible' all over social networking by the masses of people obsessed with ghosts and the paranormal.….there is many teams out there and I cant pick everyone (I’m sure you will be pleased to hear, maybe a follow on review next year) but there will be teams mentioned who I have been carefully observing their research and agenda to the standards of research which is claimed by them and the fan base which they all have, I will be looking at their methods used to obtain evidence…..many claim to have evidence so this will look at theories followed and the way in which they are operated. 2 team duo very well known in the paranormal community for their episodes on youtube and now on 'SHOWCASE TV' which is pay for air time which they had a spell on (something that hauntings of england copied), these since day one have been manufacturing a product “UK-Haunted” the videos on youtube were put together like a reality tv show (exact to ghost-adventures etc…) and lots of people did believe and unfortunately still do think that what they do is a credible serious investigation into the claimed paranormal sightings or experiences that have taken place…..
they follow suite like many others , no science method is ever used or even refereed to prove or debunk any apparent evidence, they use pseudo-scientific equipment to validate their theories which if it was done in a scientific process could have something to it , but they use pareidolia methodology to obtain the results which they want to hear , all information obtained in investigations is used when reviewing and on the investigation , instead of any critical thinking they are very obvious and anything and everything that they are not sure about (because they don’t actually research anything) they put down to paranormal….. There has been episodes where they have gone to location used pseudo-scientific equipment (Ovilous, spirit box)and caught some voices through it and used pareidolia to make the voices fit the information they know about and will say at the end of the episode – that was a great investigation , we caught loads , we are very pleased with the results. They had no experiences , no EVPs , no EMF or Temperature change , No visuals & to top it off this is before reviewing and conducting real analysis – They are placing their experience of the investigation to be good from having voices through a random word generator & a radio scanner, this by itself destroys any credibility that they might have had. Like earlier spoke upon they are a product, they want a TV deal and are going to extreme lengths to make that happen, they now sell clothing, they run Ghost Hunts everything which is profitable they are currently working on or currently have established…. Ghost Hunts are for thrill seekers looking for a buzz and of course very profitable, no Ghost Hunt offers a serious investigation often many pseudo-scientific devices to make it seem like they are good at what they do and get ghost voices but this is all part of the fantasy of being a ghost hunter. Selling and giving out their products to all their paranormal fans who think they have got a great product from a great team….they don’t investigate without their product on its all part of marketing themselves. It will be no surprise that my twitter account was blocked by the credible duo, and I didn’t actually say anything to them...i got blocked for re-tweeting a tweet about them and so was 2 other accounts who also said nothing to them or about them. About a year after being blocked I was then followed by Miki-UKHaunted which obviously was a surprise , I asked him why did you follow me when UK-Haunted blocked me? His response was to unfollow me but I wasn’t blocked this time – maybe he’s a spy and doesn’t want his other finding out the source of some valuable information. Very Similar to UK-Haunted in the lines of agenda – They are also after a TV deal something which they persistently denied until recently…..
One very funny yet shocking claim which was made from them was 'Greatest Photographer in the world' which in essence displays their fantasist view of themselves surrounded by ego and lack of achievements within the field of research they claim to conduct. Quite often they have posted up photographs from investigations , asking for peoples opinions on what is captured, which everyone does for research purposes but it is the most obvious case of matrixing making up the image of a demonic girl and everyone is saying...great catch , wow that’s amazing etc… and they are engaging in those peoples responses as it is all positive , when I said that is pareidolia they eventually after me tweeting again said well i’m not sure you can never know. And these are considered a top paranormal team by social media standards and they cannot even spot pareidolia , that in itself provides no hope for any type of result being obtained by them. 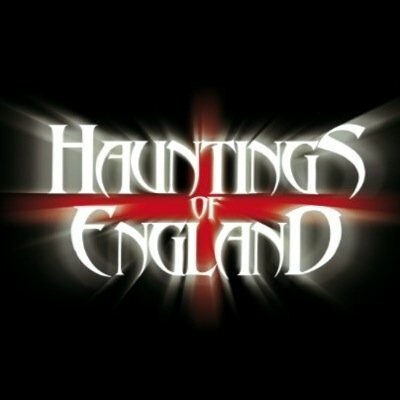 No surprise that I was blocked by Hauntings of England, I kept on tweeting about how they are after TV deals and just a statistic focused team looking to be the next Ghost-Adventures (like we need that). Like eariler explained they use to refuse the question of chasing a TV deal….then as time went on they started to tweet REALLY-TV about their investigations and claiming that everything on there station is not real paranormal research but they conduct real investigations, watch it and put something decent on your channel paranormal-wise…. Then time went a bit further on and they say we would take a TV deal if offered but were not putting ourselves out there for it. They also put funding into team outfits, as by their standard you’re not a researcher without one, its all for marketing to enable the dream job exist but they are portraying false information and results based on mass ego and a fantasy world – there is no serious research being conducted by them to this day and it will not change as they will not get the results they seek with that approach, they use pseudo-scientific equipment as that is the only way to be the next Ghost Hunter as presented by the media. They have recently got an episode ready to release on Pay for TV time same UK-Haunted did and the standards have not been raised, what they are promoting as SKY TV but the truth is its a channel on sky im pretty sure sky would want to wash their hands of it. Another 2 man team based in Dorset but conduct investigations all over the UK. – what the hell is going on here then? Zak Bagans (Ghost Adventures) – 765K Followers. Dorset Ghost Investigators – 668K Followers. Ghost Hunters – 264K Followers. Most Haunted – 26.7K Followers. 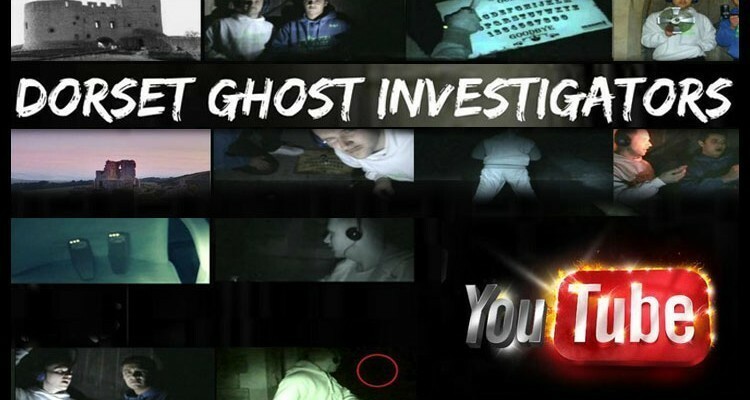 With statistics aside the actual episodes these guys put out there are just awful if I thought UK-Haunted and Hauntings of England were destroying paranormal credibility that is nothing Dorset Ghost Investigators are responsible for hoaxing a lot of footage and on purpose mostly this isn’t just misunderstanding of equipment this is blatant fake results to make episodes and get a TV deal (hence where the buying statistics makes sense). They are also putting lots of false claims out there “Demons” they post it around graveyards they investigate without a thought in the world that family’s go there to see their loved ones and if they believe that a part of that family member is still there is some type of spirit then they will be in horror to find videos with fake evidence claiming demons are tormenting anything in that graveyard, no ethical standards at all. There was a video shot in a graveyard in Portsmouth with apparently demons. On the video there seemed to be the most spontaneous activity you have ever seen all carefully shot (badly) spirit box being thrown the corner of the camera screen, It was done in a way for a hoax to be done very easily with very little resources required perfect for low lighting situations such as ghost hunts at night in a graveyard. There was also a K-II on top of a ouija board and there was no interactions, every-time 1 of these investigators was in a certain distance lights would display, and to make things more obviously a hoax it was a steady charge reading, which is usually caused by something that contains electric, it displays on the meter with a few of the different lights on, there would be no fluctuations with the lights they will be steady and more lights the closer to the meter the EMF Object gets. - Fakers. After I got blocked by Hauntings of England, NCP seemed to unfollow me but they didn’t block me at that point. I was observing NCP for awhile to find their focus and although they claim to be very much into research this is not their actual agenda within social media. Often they use hash-tags from other reality TV known names to get their episodes on to more people, which made me raise eyebrows. They are very statistic based like them all listed above and do continuous self-promotion, If people have anything to say that is positive there will be engagement and if things that don’t conform to their agenda you will not hear or if you do it will be a childish response. And some time after that they blocked me. I tweeted about the conversation and obviously got their attention (because tom was still following me and informed NCP) it turned into childsplay as always with these sorts of groups who need social media for their research to mean something to them. They unblocked me to have the moan and denied everything and still didn’t share theories – this is my concern, why would a “Credible” social media paranormal team not want to discuss paranormal theories publicly? To a serious researcher, or even privately through email? Its like they don’t actually have any strong theories going into it blind and just believe anything they are told or watched on TV, like all of the above teams they are sheep just following paranormal reality TV and often claiming it as paranormal evidence. Several members of the groups above have set up new accounts on twitter what they use just to ‘Troll’ people like me and others who have a different opinion. They conduct serious scientific research into all types of paranormal phenomena. Steve Parsons from Para Science has a book called “Ghostology” which is without a doubt the most credible paranormal tool any investigator can own. It displays why Para Science are such a credible name in paranormal research especially in the scientific part of the field, the complete opposite to the 4 teams mentioned above. Steve has the uncanny ability to talk about very technical information and illustrate it in a very simple way – perfect for ghost hunters who all have different levels of education and working experience. The Para Science website has lots of useful information for any researcher to spend hours looking up reports to technical information that will improve your standards and credibility, certainly not an organization to miss. There has also been Ghostology study days at Wymmering Manor with Steve – what I wasn’t able to attend but if it was something offered then it would certainly be worth going for, the book is jam-packed with information having a day studying and investigating there with him would have lots of great information obtained. Not heard of SPR ? Where in space do you live? In the social media and main media (newspapers) they are known for their involvement in the Enfield haunting as it later be known. SPR have interests in many different paranormal elements such as ESP, Ghosts, Parapsychology and conduct lots of conferences and talks about various subjects of paranormal studies for their members, anyone can become a member which does open up a list of information that isn’t available for the general public, what is available to the general public paying for it separately could cost an arm and a leg, where they offer a set charge for being a member which allows you strict access to their library…. if that doesn’t tick boxes for any serious researcher – nothing will. 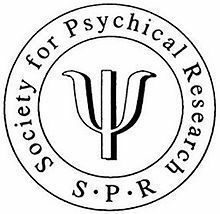 They have been conducting research ever since 1882 and still going strong, although they were not the first organization to conduct research into claimed paranormal phenomena they are one of the more popular groups with a lot of credibility under the name SPR. During the late 19th century their research efforts were placed into seances and were successful with debunking lots of hoaxed events on seances and the mediums who were claiming it to be a genuine paranormal event. Their website does also offer possible funding for courses within parapsychologyand advice for careers within that field….certainly something that anyone considering should be an important website to spend a lot of time researching and getting in contact with them. 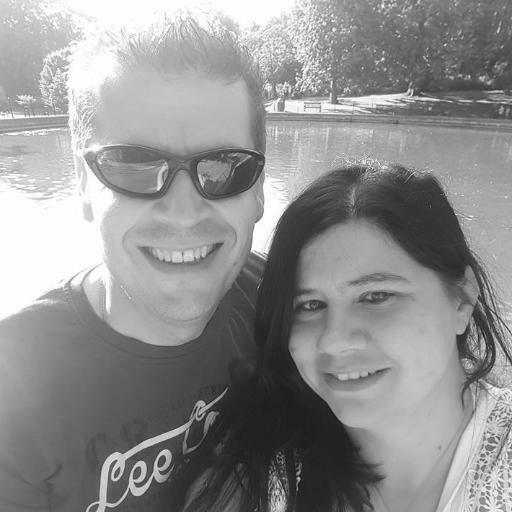 Mark and Laura (paranormal reason) are a very credible duo in the field of paranormal research, although I caught onto their research at a late date I have been intrigued since first communicating with them on twitter and reading their research. They have conducted some investigations at some fantastic locations and have gained some very interesting results through their observations, reports are certainly very well documented and informative. Recently have seen some ITC research by them (which i’m normally closed off to viewing but as its them I knew it would be worth reading) and they approach something which in personal beliefs they would dismiss but go into each subject with an open mind and don’t draw conclusions until the end, they did say they are not doing any more Alicebox communications due to their observations which I agree with. Together have been investigating for a long time and certainly very knowledgeable indifferent elements of paranormal study, on a monthly basis I learn something new just from reading what they post on their blog and talking to them – many times when i’m stuck I ask for some type of help or assistance and although they can’t always help, sometimes just a different view point is the help you needed, and with their critical thinking a new direction always unfolds. I have been following ASSAP’s website since I first started investigating the paranormal, their name spells it out, scientific research so they have a lot of great information on their website which seems to be overlooked for some reason by a lot of the paranormal community, many claim to use science in their investigations but this is a lie because information that is free and public for everyone debunks lots of “evidence” and methods what the mainstream community use. They also offer a membership for costs to their charity which in turns brings more scientific and educational activity’s to take place for its members. On their website they have lots of different paranormal theories using science with various conclusions to results – something that should be key for any serious researcher of paranormal phenomena. Like SPR they conduct conferences for its members with the intention of sharing information and ideas and highlighting different elements of paranormal studies. For any new-comer or even an investigator with experience there different educational courses to attend which is done with their organisation using the scientific methodology they publish, i’m sure there would be a lot of valuable information to be obtained. I have been trying to find something nice to end with because i’m a big fan of constructive criticism but I fail to find anything in the lines of research or objectives that are pointed in the right direction, they are all focused highly on statistics of their episodes – there has been quotations where they have said going to a location tonight, going to be a great episode….How can you predict the episode before the investigation? Their research is depended on making episodes, why make episodes if your true agenda is not to be on TV? Exactly. There methodology is just that from reality TV, they are sheep following mythological information with no evidence just lots of claims and yes men to help market. I spoke very highly of these groups because they deserve the recognition for their efforts in paranormal research without the false image of being a paranormal reality star, Their only agenda is to furtherer understand paranormal phenomena and help educate others with that information – this is what paranormal research means to me and my drive. To get success in business it is important to make communication with http://dissertation-writing-services-online.blogspot.com/ & other opposite companies to get to know about the working style of their work to make your self perfect. Well, I've heard of some of those groups. I think that I would like to be more aware of them and their actions. That is really cool to take part in such paranormal investigations. i have heard a lot about paranormal activities, are they real? Do they really exist? https://encouragingquotesuniverse.yolasite.com/Online.php. I have read a lot about paranormal activities. This article is like heaven to me I was founding a blog like for a while. I always interested in paranormal activities I want to know that these things really exist and if they do can we see them. Yes, it exists I am very scared of reading a paranormal story. Thanks a lot for the post. It has helped me get some nice ideas. https://dentonheating.xyz I hope I will see some really good result soon. Really i appreciate the effort you made to share the knowledge. This is really a great stuff for sharing. https://casestudyaids.xyz Keep it up . Thanks for sharing. Wonderful article with valid information. Thanks for taking time to share this with us. Looking forward to learn a lot from you.